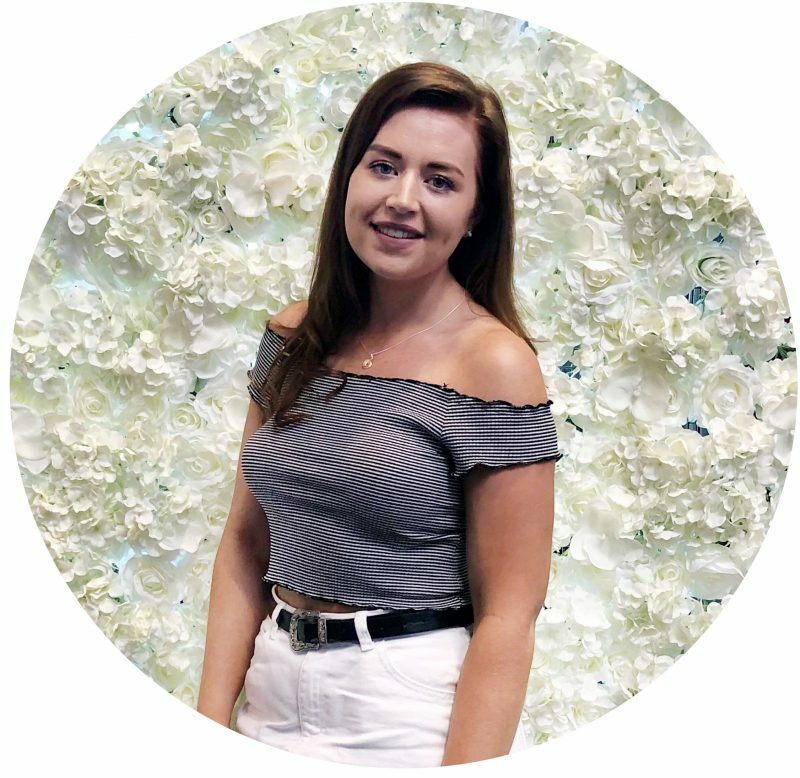 With the transition into spring slowly creeping upon us, i’ve found that styling up my outfits to be a little more difficult as the weather can be so hit and miss, and I often find myself being freezing in the morning but boiling come the afternoon. With that being said i’ve been loving styling up light knitwear pieces with a bit of detailing added to it, and I thought it would be fun to share one of my current favourite go to outfits! A couple of months back the brand Zaful got in contact with me to pick out a few bits from their latest collection, and for such a long time now i’ve wanted a simple knit with a statement and on trend sleeve for such a long time now, so I got to browsing through the massive variety of styles that they have on offer! I found myself browsing through Zaful’s website for such a long time, and I found it really similar to ASOS in the sense that they stock so much and I came across so many things that I loved! I finally settled on this Ribbed Puff Sleeve Sweater* (£19.89) in this light grey colour as I personally love a lighter colour knit to coordinate with my typical choice of black jeans! I absolutely love the quality of this jumper as the knit isn’t too chunky but still keeps me warm enough throughout the day. I also love the sleeves on this and it was everything I wanted a more! 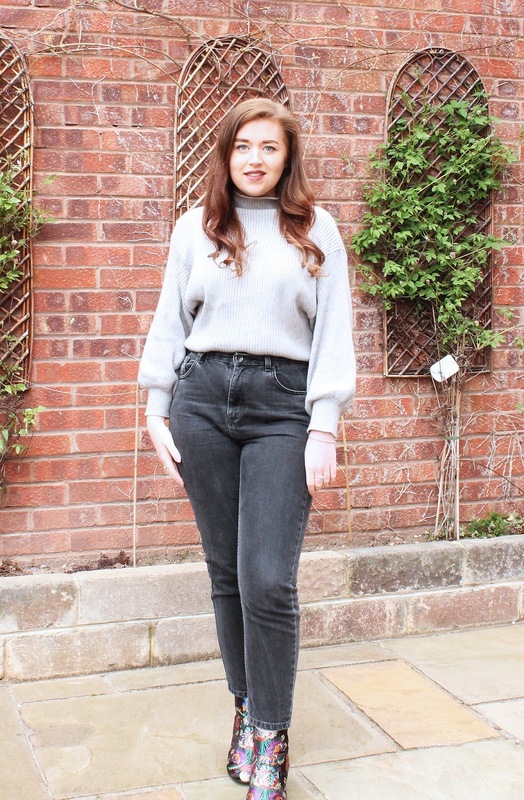 As I mentioned I love styling the majority of my outfits with a black pair of jeans and recently i’ve been getting a lot of wear out of my Topshop MOM Jeans (£40), as I personally love a high waist jean as I find them to be a lot more flattering on my body shape. The only downside is that you can’t eat to your heart content in these, which I guess is a good thing but seriously, food! Being the total boring monochrome lover that I am, my outfits generally don’t pack much punch in terms of colour but I do often find that I like to add some detail through either my accessories, or through the lip colour that I choose to wear. I thought that a fun way to mix this outfit up was to style it with these beautiful Louisa Floral Print Ankle Boots* (£34.99) from Ego! I love the pop of colour that they add to an outfit, and embroidered boots are so on trend at the moment!